Pakistan created its nuclear program, now estimated to have 120 nuclear weapons, as leverage against India.2 Pakistan views nuclear weapons as deterrents against conventional or asymmetrical attacks.10 Pakistan’s Defense Minister stated, “We should pray that such an option never arises, but if we need to use [nuclear weapons] for our survival we will.”4 Thus, Pakistan has not adopted a no first use policy.2 Indeed, Pakistan postures itself as being comfortable with striking first with nuclear weapons in retaliation for a perceived major attack from India. China’s activities in South Asia have added further complexity to the India-Pakistan situation. China borders both countries, has territorial disputes with India, and is greatly strengthening economic ties with Pakistan. China is a key factor in the nuclear situation between India and Pakistan. Indeed, according to a declassified State Department briefing from 1983, China actively helped Pakistan become a nuclear state.11 In addition, China has been a leading provider of sensitive technology to Pakistan.7 China’s altercations with India are fortunate for Pakistan, adding another layer of geopolitical deterrence against a large-scale Indian action against Pakistan. With its development of a large port in Pakistan, China gained an even more important reason to guard Pakistan’s security. For good or ill, the existence of nuclear arsenals and red lines have made conventional war quite risky.8 At some point, you have more than enough nuclear warheads (how many times can you destroy something?). More warheads do not necessarily guarantee greater security.3 However, they do result in a strategic stalemate, given that a nuclear exchange could result in massive destruction that neither side wants.3 Thus, the Mutually Assured Destruction (MAD) of the Cold War actually helped preserve peace. MAD worked during the Cold War because the US and the USSR had governments that functioned adequately and communicated with each other well enough to avert nuclear war. Unfortunately, the current India-Pakistan situation does not seem to have those qualities of fairly competent governments and open lines of communication. The fractious and unstable environment in Pakistan,2 India’s disengagement from security issues, the lack of mutual communication, and foreign meddling make South Asia a potential nuclear powder keg. 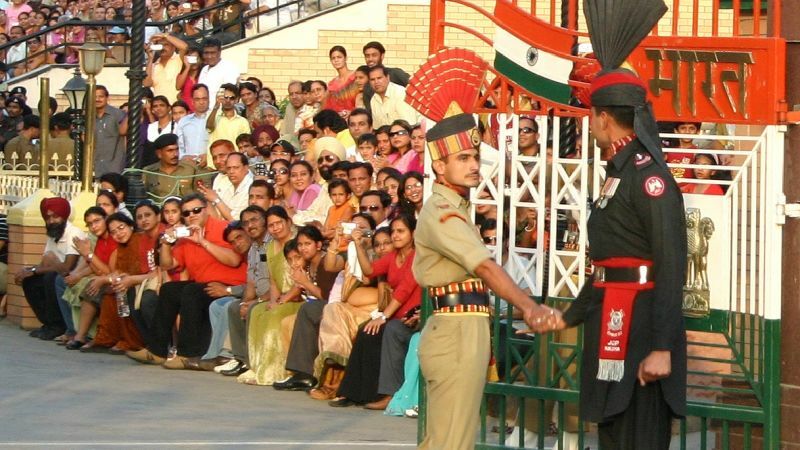 The US and USSR survived the Cold War without a nuclear exchange, but will India and Pakistan? 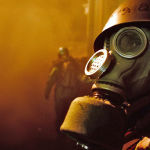 Stratfor argues that nuclear war is unlikely.12 Hopefully this is true. 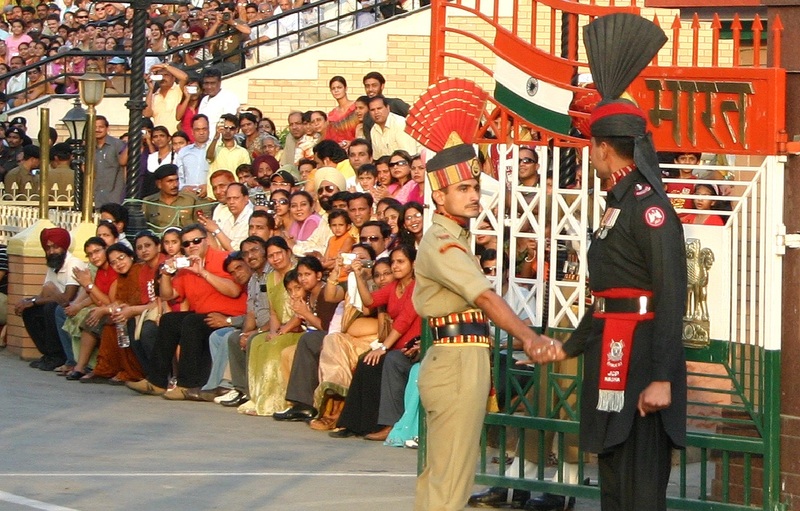 However, the nuclear tension between India and Pakistan does not seem to be lessening. The poorly led India, the unstable Pakistan, their use of proxies, the increased risk of misunderstandings, and mismatched nuclear policies—all of this complicated by China—seem to point to a time when the gates holding back chaos will falter. The Cold War had two major players. The India-Pakistan situation has three—four if you include the United States. Indeed, the India-Pakistan situation appears a bit more complex than the US-USSR confrontation during the Cold War. The US faces a difficult situation: it is allied with both India and Pakistan, and it is economically tied to China. Even so, the US is uniquely positioned to affect the South Asian nuclear standoff in a positive way. 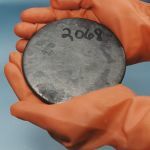 The US needs to foster transparency, build trust, and work to mitigate nuclear arms races.5 To accomplish this goal, the US needs to have backbone in its foreign policy. The US does have interests in South Asia. The US must show leadership—at least as a mediator and a facilitator of discussion—while respecting Pakistan’s, India’s, and China’s sovereignty. The US could, perhaps, provide multilateral dialogues and forums for India, Pakistan, and China to work through the situation.5 However, this Asian Geneva approach will only work if the US leads by mediation, not by force, with consistency, and without prejudice toward one country or another. Akhilesh Pillamarri, “India’s Nuclear-Weapons Program: 5 Things You Need to Know,” The National Interest, 22 April 2015, http://nationalinterest.org/feature/indias-nuclear- weapons-program-5-things-you-need-know-12697. Akhilesh Pillamarri, “Pakistan’s Nuclear Weapons Program: 5 Things You Need to Know,” The National Interest, 21 April 2015, http://nationalinterest.org/feature/pakistans-nuclear-weapons-program-5-things-you-need-know-12687. Gaurav Jeyaraman and Abheet S. Sethi, “Should India Worry About Having Fewer Nuclear Weapons Than Pakistan?” Business Standard, 10 April 2015, http:// business-standard.com/article/current-affairs/should-india-worry-about-having- fewer-nuclear-warheads-than-pakistan-115041000274_1.html. Geo TV News, “Option to use nuclear weapons always available: Asif,” Geo TV, 06 July 2015, http://www.geo.tv/article-190323-Option-to-use-nuclear-weapons-always-available-Asif-#_. Gregory D. Koblentz, “Strategic Stability in the Second Nuclear Age,” Council on Foreign Relations, November 2014, http://www.cfr.org/nonproliferation-arms-control- and-disarmament/strategic-stability-second-nuclear-age/p33809. Indrani Bagchi, “Even a Midget Nuke Strike Will Lead to Massive Retaliation, India Warns Pak,” The Economic Times, 30 April 2013, http://articles.economictimes.indiatimes.com/2013-04-30/news/38930173_1_pakistan-shyam-saran-india. Joyce Battle, “India and Pakistan—On the Nuclear Threshold,” The National Security Archive (The George Washington University), http://nsarchive.gwu.edu/NSAEBB/NSAEBB6/. Kyle Mizokami, “If India and Pakistan Went to War: 5 Weapons Pakistan Should Fear,” The National Interest, 16 August 2014, http://nationalinterest.org/feature/if-india-pakistan-went-war-5-weapons-pakistan-should-fear-11089. Kyle Mixokami, “If Pakistan and India Clash: 5 Pakistani Weapons of War India Should Fear,” The National Interest, 24 August 2014, http://nationalinterest.org/feature/if-pakistan-india-clash-5-pakistani-weapons-war-india-should-11140. Pushan Das, “It’s Time for India to Rethink its Nuclear Policy,” East Asia Forum, 21 August 2015, http://www.eastasiaforum.org/2015/08/21/its-time-for-india-to-rethink-its-nuclear-policy-2/. State Department Briefing Paper, “The Pakistani Nuclear Program,” State Department, 23 June 1983 ([DECLASSIFIED] SECRET/NOFORN/ORCON) http://nsarchive.gwu.edu/NSAEBB/NSAEBB6/docs/doc22.pdf. 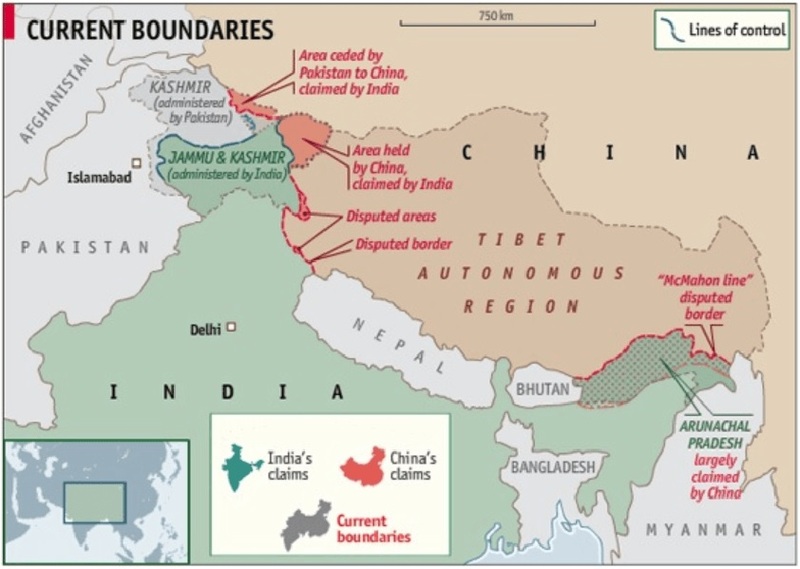 Stratfor, “In Border Dispute, India Tests Status Quo with Pakistan,” Stratfor, 15 January 2015, https://www.stratfor.com/analysis/border-dispute-india-tests-status-quo-pakistan. Tim Craig, “Report: Pakistan’s Nuclear Arsenal Could Become the World’s Third- Biggest,” Washington Post, 27 August 2015, https://www.washingtonpost.com/world/asia_pacific/report-pakistans-nuclear-arsenal-could-become-the-worlds-third-biggest/2015/08/26/6098478a-4c0c-11e5-80c2-106ea7fb80d4_story.html. Zachary Keck, “Watch Out, India: Pakistan Is Ready to Use Nuclear Weapons,” The National Interest, 08 July 2015, http://nationalinterest.org/blog/the-buzz/watch-out-india- pakistan-ready-use-nuclear-weapons-13284.